Angola was once the largest exporter of agricultural products in Africa. But a long war has destroyed everything. 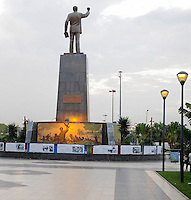 In October 2012 I have travelled together with writer Klaus Sieg two weeks in Angola to find out the recent development and changes after 20 years of civil war. Text and photo story available now.